HERstory Connections is not only about economic empowerment for women, but also about giving back. We believe that businesses should pay it forward along the way. This is why we make it a point to “Pay It Forward.” Teaming up with nonprofit organizations who share our beliefs and mission. We pay it forward in a variety ways to make our reach goes far. Our mission is to help 1,000,000 women entrepreneurs generate a minimum of $1,000,000 in annual revenue by December 31, 2025. We receive many offers for charitable partnerships. Although we would like to support and promote every opportunity that comes to us, we are not able to do so. Therefore, we have established the following criteria that will help ensure that those programs that we do support are in line with our mission and how we operate. * A financial commitment is based on the company, program, timing, and partnership deliverables needed (Supporter access, employee engagement, sponsor/cause marketing benefits). Upon inquiry, a member of HERstory Connections staff will contact you within two business days to continue the charitable partnership conversation. If the partnership is mutually agreed upon, an agreement tailored specifically to the partnership will be drafted jointly. Subject to a fully executed partnership agreement, the relationship will commence. 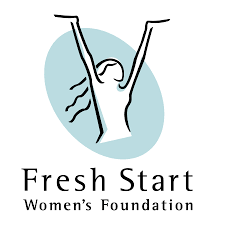 In order to evaluate your organization as a good fit for HERstory Connections, please send us an email, with Pay It Forward in the subject line to herstory@justfearless.com.